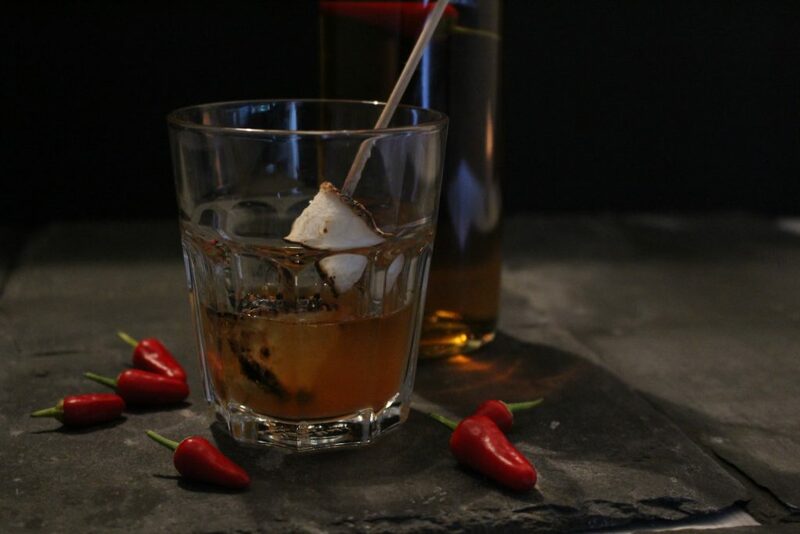 Marshmallow Bourbon is laced with chilli and stired with a flaming toasted marshmallow stick. Spicy and sweet. 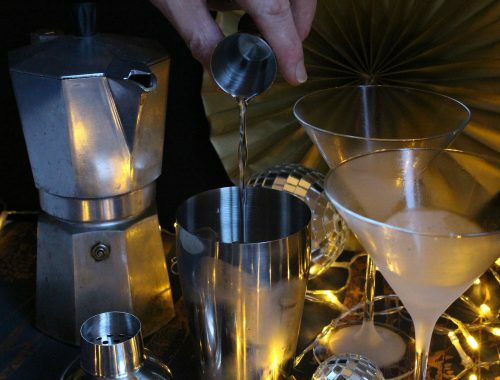 A cocktail to enjoy at your Halloween or Bonfire party. Smokey sweetness with a hint of spice. Lace a bottle of bourbon with a firey hot chilli and leave in the bottle for a day and then it’s ready. 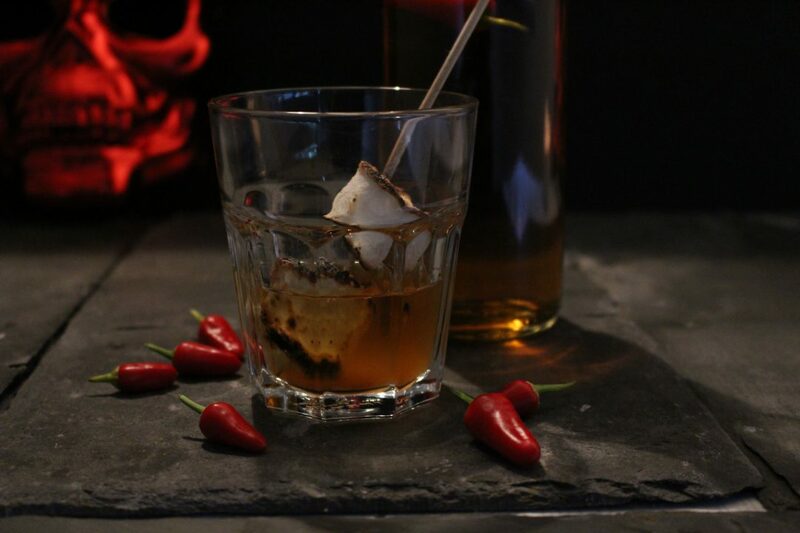 Then toast your marshmallows and once at that very toasty and alight stage, stir into a glass of the chilli bourbon. The marshmallows begin to melt into the bourbon but you can continue dunking and eating should you wish. That should keep you warm at your Halloween or Bonfire party. 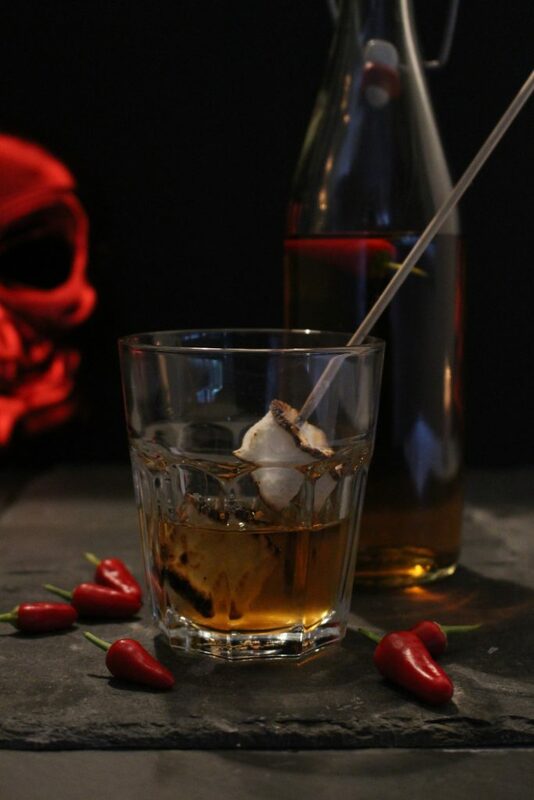 A spicy yet sweet cocktail that will keep you warm at your Halloween or Bonfire party. 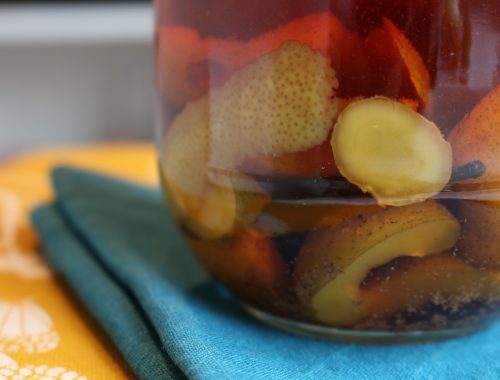 Place one or two chillies in a bottle of bourbon and allow to infuse for at least one day. You can remove this if you find it too spicy otherwise leave it in. 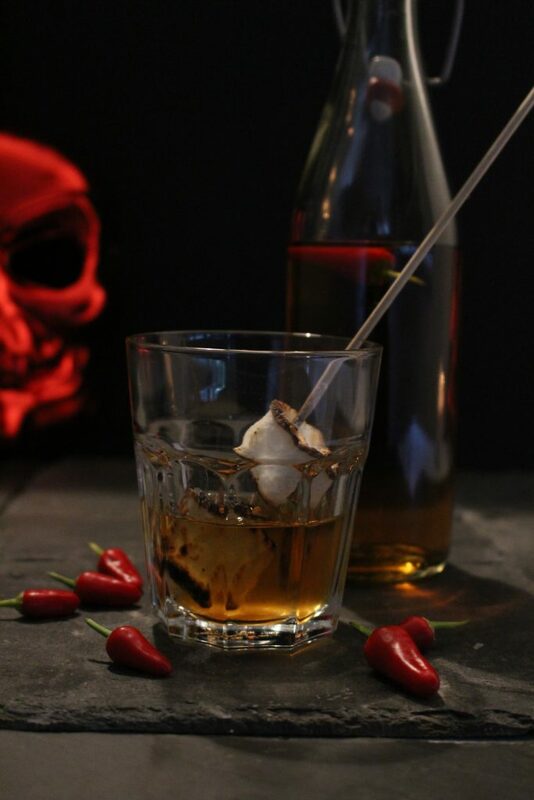 Pour a good measure of the chilli bourbon into a glass. Toast your marshmallows over a flame and once toasty all over, allow to catch fire. Place flaming marshmallow into the glass of bourbon and stir. You can make it without the chilli, I’m sure it would be just as delicious. Ohh! This is such a great idea. It sounds amazing! It sounds perfect for this time of year. So warming. Oh my goodness this sounds SO good! 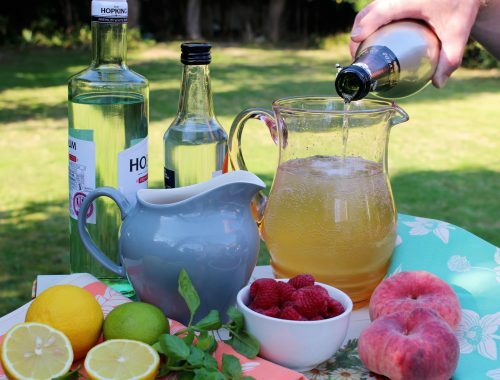 I need to make one of these this weekend! That is certainly a ‘spooky’ cocktail!! Love the marshmallow! Marshmallows are too good to resist, aren’t they? This sounds AMAZING! Perfect for bonny night! I’m will you on this one! Oh wow this sounds amazing!! I’m not a fan of bourbon but I do love marshmallows! !